Lady and the Blog → Living → Facebook Live With Tide: 9/28 At 12PM EST — Mark Your Calendar! Facebook Live With Tide: 9/28 At 12PM EST — Mark Your Calendar! 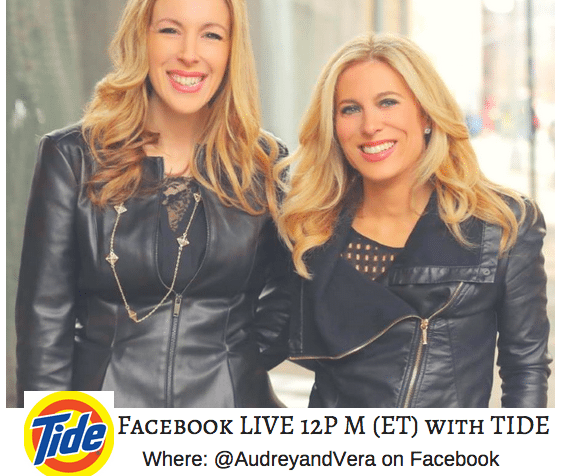 We would LOVE for you to join Audrey McClelland and I for a Facebook LIVE chat with TIDE tomorrow! As you know we’re both on their P&G Fabric Care Advisory Board and we LOVE working with them throughout the year. September is Baby Safety Month, so we are excited to open up the conversation and talk about safety within the home when it comes to our babies! We would love to discuss the perspective of how you felt about baby safety before becoming a mom and to the NOW!! GIVEAWAYS: 3 (three) month’s supply of Tide laundry pacs with Child-Guard packaging for two participants!! NO RSVP… just head on over and join on into the conversation!! Disclosure: This is a sponsored Facebook LIVE.